For many people, a gap between their teeth is an undesirable trait. It can make them self-conscious of their appearance as well as prove annoying while eating and drinking. Fortunately, there are several ways to fix a dental gap, and they are easier to fix than you might think. One of the most cost effective procedures to fix a dental gap is tooth bonding. This method involves adding a plastic resin that hardens quickly to the patient’s gap. The teeth are prepared for the procedure, the resin is applied to the surface, and the resin is dried until it has hardened, all within one dental visit. Tooth bonding had been a common practice since the 1960’s, so it has been perfected and made easier over the decades. Many dentists are able to provide tooth bonding and it typically costs a few hundred dollars for the entire service. It is a great option for anyone who needs a solution for a tooth gap. The procedure to fix a dental gap with tooth bonding is very simple and can be done in a single visit to a dentist. First, the dentist will select a specific shade of white for your tooth. This will be based on the color of any teeth near the gap, ensuring a perfect visual blend with your other teeth. Once the right color has been selected, your smile will look as natural as possible. Next, your teeth on either side of the gap must be prepared for the procedure. These teeth are typically shaved down to ensure a smooth surface for the resin to adhere to. Once the surface is shaved down properly and a conditioning liquid has been applied, it will hold the solidified resin. After your teeth are prepared, a putty-like material is molded to fit your gap and is attached to your neighboring teeth. The material is applied and shaped to fill the gap. The composite resin is then dried with an ultraviolet light for quick solidification. A speedy process – Most candidates can have the entire procedure performed in a single visit. 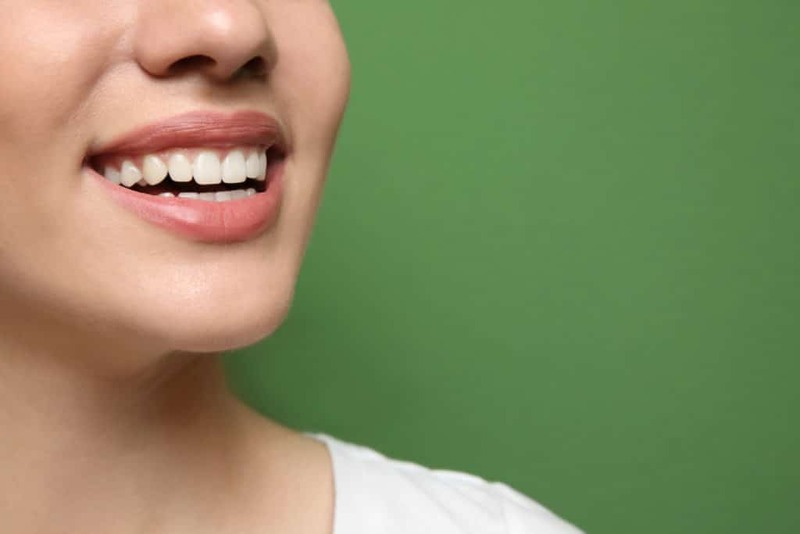 Patients may have to be careful chewing hard foods for a day or two, but they can get back to their lives quicker than with other procedures to fix tooth gap issues. A long-lasting result – Dental bonding tends to last 5 – 10 years without a problem. Some patients never need to have their gap rebonded again. While other options exist, this method is worth a try as it can last forever. An inexpensive option – It can cost a lot to fix a tooth gap with veneers or crowns. The dental bonding procedure is quick and less costly than other options, while providing similar results, and sometimes a permanent solution. A natural-looking answer – With dental bonding, it makes it hard to tell there was a gap between your teeth at all. When the right color is applied, the gap essentially vanishes without a trace. Dental bonding for tooth gaps is a very common practice that rarely causes any issues for patients. With decades of research and practice, dentists around the world perform this procedure on a daily basis. Dental bonding is typically the first option for people who want to fill a gap between their teeth. Your insurance may cover the cost of the procedure. Since dental bonding is so safe and common, many insurers cover the procedure. Be sure to check with your provider to see if dental bonding is covered on your insurance. While every mouth is different, most people with tooth gaps will be candidates for dental bonding. With a quick and affordable procedure like dental bonding, tooth gaps can be a thing of the past. Schedule an appointment with our dentist to learn more about the process and to see if dental bonding is right for you.